A delicious combination of alfalfa, broccoli, radish, mung bean and green lentils. Crunchy, delicious and nutrient packed. 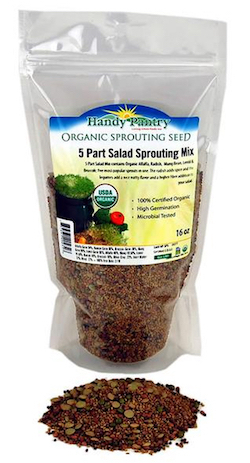 Ingredients: certified organic alfalfa, broccoli, radish, mung bean and green lentil sprouting seeds.